Mermaids, magical kingdoms, and more! (SPOT.ph) Everyone loves a good drama, but Pinoy TV kicked it up a notch with a genre that combines fantasy and mythology with the usual soap opera elements. 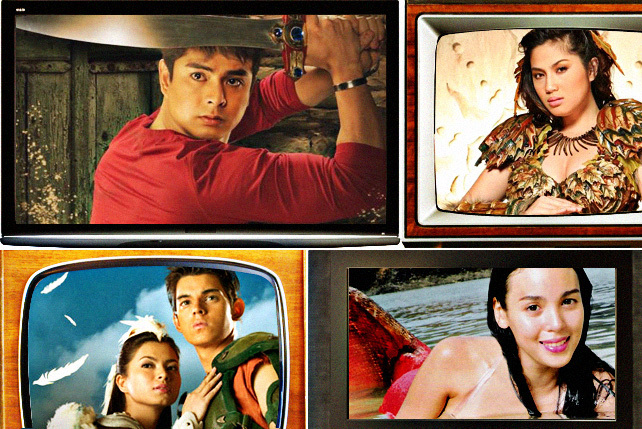 Whether you tuned in for the romantic love story or you loved the wondrous world it created, each of these 10 fantaseryes (or telefantasyas, as others liked to call them) captured our imaginations and had us glued to our screens every weeknight. Based on the '70s comics by Carlo J. Caparas, the series revolves around Joaquin Apacible (Robin Padilla), an assassin whose last mission doesn't go according to plan and is sent to prison. While in jail, he meets a mysterious man (Pen Medina) who chooses him as an heir to battle evil with the help of powerful tattoos. Fans tuned in because... 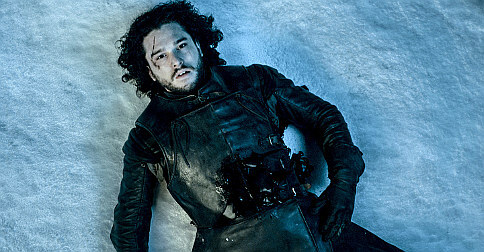 The plot's twists-and-turns and the intense action sequences that led to impressive ratings for the show's timeslot. Anne Curtis plays Imang, a kind-hearted and hunchbacked bell ringer who transforms into a beautiful woman whenever a magical candle is lit. More than that, the story is largely driven by her mysterious ties to two wealthy sisters (Eula Valdez and Jean Garcia). Fans tuned in because... The show's then-unique style of bringing together music, drama, and fantasy a la Disney, as many put it at the time. Plus, it also served as a reunion for two former Pangako Sa 'Yo rivals who now play sisters. Before Anne Curtis took on the role, Marian Rivera starred in a highly successful 2008 TV adaptation of Mars Ravelo’s character. Dyesebel is born a mermaid to two human parents, but the highly superstitious fishing community drives her to live at the bottom of the sea with the rest of her kind. She eventually finds love with a human named Fredo (Dingdong Dantes), but with consequences. Fans tuned in because... DongYan’s chemistry was off the charts...and it helped that they were both fresh off the success of Marimar. The addition of compelling characters also made the plot more interesting. Billed as a sineserye adapted from the 1980 Fernando Poe Jr. film, show creators claimed that Ang Panday was filmed the same way movies are shot. The story revolves around Flavio (Jericho Rosales), a blacksmith who forges a dagger from a meteor that crashed into their town. With his mystical sword, he battles evil forces hellbent on taking over their town. Fans tuned in because... Everyone loved the chemistry between Jericho and Heart, which was only fueled by their reel-to-real romance. Marina is widely credited as the first show to kick off ABS-CBN’s fantaserye streak. The 2004 show revolved around the titular character (played by Claudine Barretto), a human girl who is cursed to turn into a mermaid and longs for her life as a human. With the help of a magical necklace and a powerful sea witch named Dugong, she becomes human again on one condition—she turns back into a mermaid during the full moon and only a true love’s first kiss can free her from the curse. Fans tuned in because... Let’s face it, Claudine had the best and most well-crafted mermaid tail (she reportedly had three for the show), and viewers just can't help but root for her character. Plus, it gave viewers a glimpse at some of the country’s pristine beaches! The story zeroes in on the romance between Lyka (Angel Locsin), who is fated to be the last hope of the Lobo or white werewolves, and Noah (Piolo Pascual), a human caught between the battle of the Waya (the werewolves' protectors) and the Luna (their enemies). It later spawned a sequel, Imortal, starring Angel and John Lloyd Cruz. Fans tuned in because... Prior to Lobo, no other show has really taken on the supernatural concept of werewolves. It also happened to be Angel's first show after making the shocking network transfer to ABS-CBN. No, we don’t mean Marian Rivera’s version. We’re dialing it back to 2005—to the show that catapulted Angel Locsin to fame. The series, based on the popular comics by Mars Ravelo, depicts Darna’s origin story (as the human, Narda) and how she uses her extraordinary powers for good. Fans tuned in because... It was a combination of Angel’s charisma and the comic book elements, including her beginnings on the planet Marte and the introduction of her polar opposite, Black Darna (played by Katrina Halili). It was also somewhat tied into Captain Barbell, which later had its own immensely popular series starring Richard Gutierrez. This action-fantasy starred Coco Martin as the titular character, an orphan who was raised by a kind-hearted priest. Unbeknownst to him, Juan is half-aswang, fated to rule over the mythical creatures set on taking over the human race. However, his human mother (Mylene Dizon) is a Tagabantay, an ancient lineage of guardians who protect humans from the aswangs. Fans tuned in because... The show delved into Filipino mythology and religion to build a well-rounded and immersing fictional world. There was also Juan's against-all-odds romance with Rosario (Erich Gonzales). The Philippines was once inhabited by a race of flying humans-slash-eagles called "Mulawin" that lived peacefully with humans. Over time, the human population grew in number, destroying the Mulawins' homes and forcing them to seek refuge in the mountains. The Mulawins initially didn't want to harm the humans, but this only caused increasing tension and conflict between their tribe. This eventually gave rise to another group that called themselves the Ravenas (whose sole intention is to destroy both humans and the Mulawins). The plot primarily revolves around Aguiluz (Richard Gutierrez), a young Mulawin tasked to secretly protect Alwina (Angel Locsin), a "Sugo" destined to unite humans and Mulawins. Fans tuned in because... More than the immensely popular Angel and Richard love team, the show dominated ratings for their richly imagined world of humans and bird-men. Oh, and it also got its own movie! Encantadia is arguably one of, if not the most memorable and successful fantaseryes from the network. The story is set in a mythical realm composed of four kingdoms that bear four precious gems representing the elements of earth, air, water, and fire. Each stone is protected by four princesses called Sangg'res (Karylle, Iza Calzado, Sunshine Dizon, and Diana Zubiri), and as long as the gems are kept separate from each other, peace prevails. War erupts after one kingdom, Hathoria, threatens to take all the gems and take control of the realm. Fans tuned in because... The show created a mythical world that was original, well-developed, and engrossing—largely thanks to its detailed costumes and ambitious sets. No one was suprised when it spawned two spin-offs: a prequel entitled Etheria and a sequel, Encantadia: Pag-Ibig Hanggang Wakas.